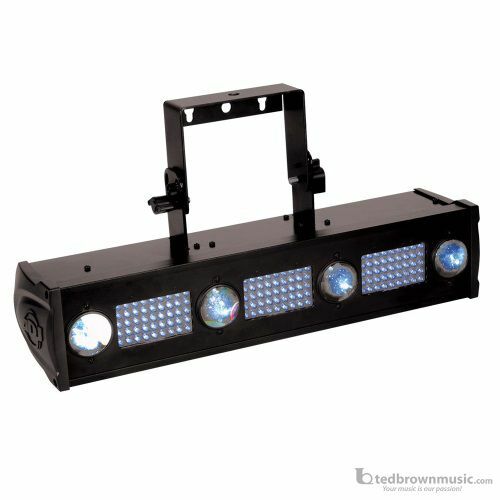 The Fusion FX Bar 3 is part of American DJ's continuing pursuit for creating high quality affordable intelligent fixtures. The Fusion FX Bar 3 is a DMX intelligent LED display fixture. This fixture is a great piece for retail stores, displays, mood, architectural, interior and exterior decoration, and clubs. This unit can be used as a stand alone, or in a Master/Slave configuration. The unit can also be controlled via DMX controller. Dimensions (including bracket - LxWxH): 21.25" x 5.75" x 10.5"